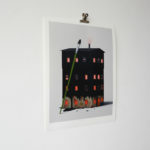 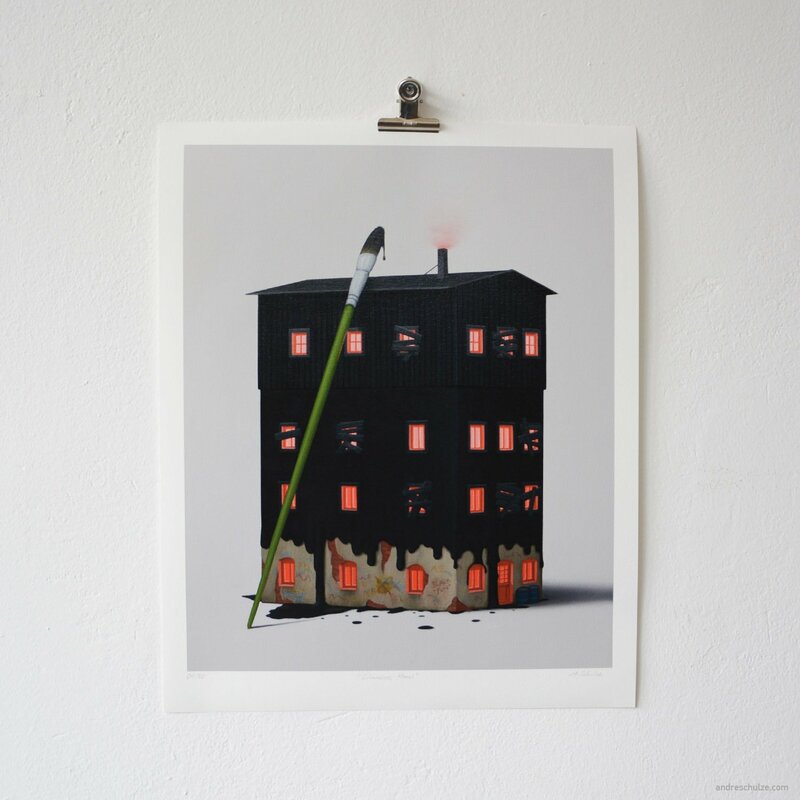 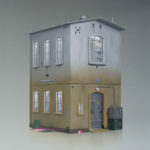 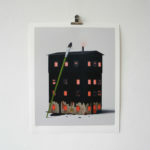 Erster limitierter Giclée-Kunstdruck “Schwarzes Haus”. 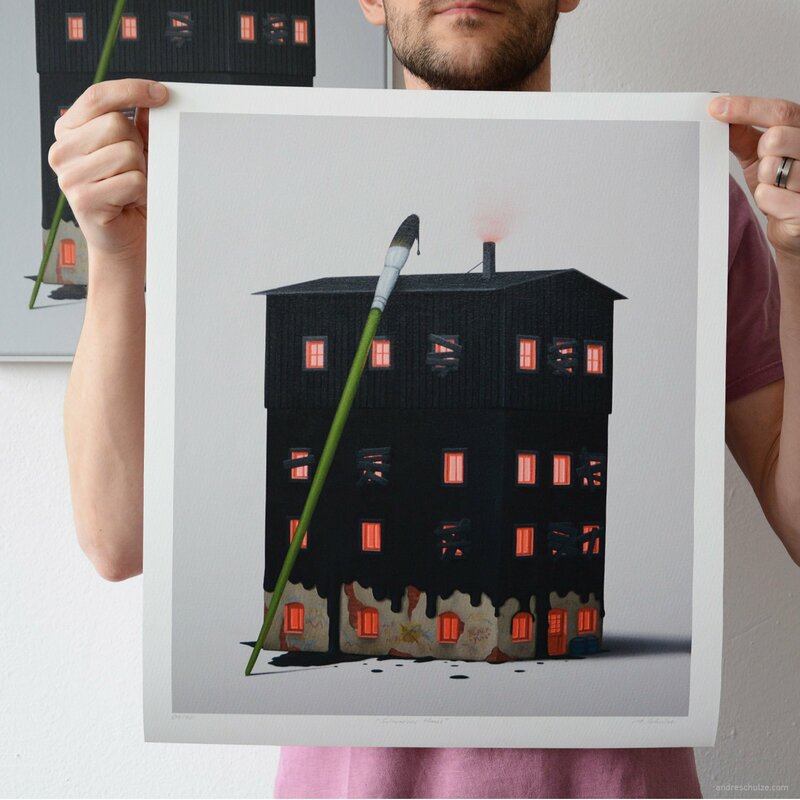 Hochwertiger, und auf 20 Exemplare limitierter Druck des Gemäldes “Schwarzes Haus” von 2016. 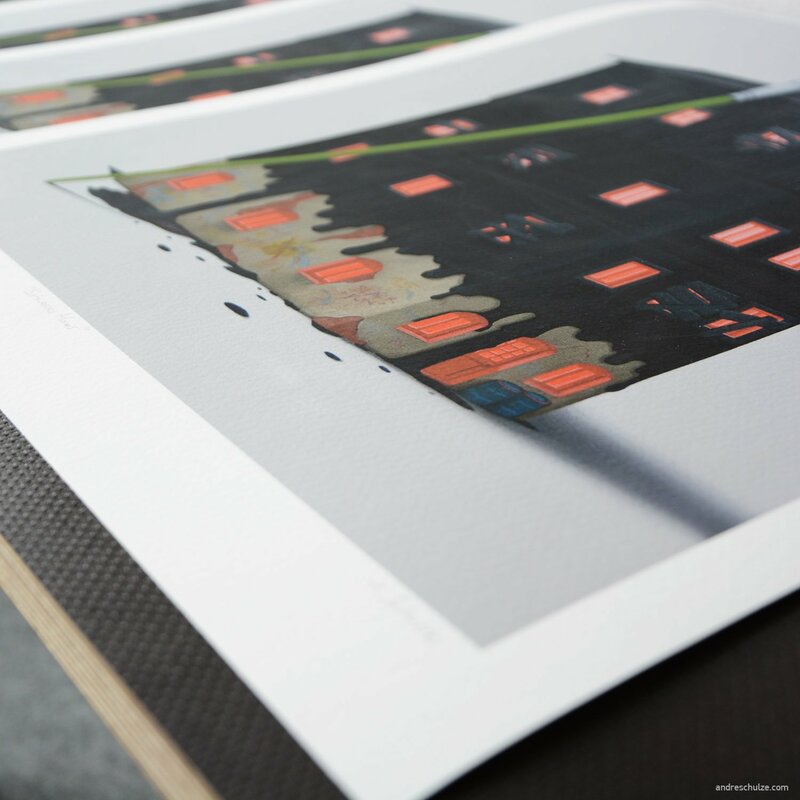 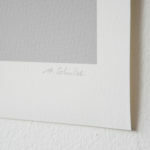 Gedruckt im hochwertigen “Fine-Art-Giclée-Druckverfahren” mit 12 pigmentierten, lichtechten Tinten und einer Feinstauflösung von 2.400dpi. 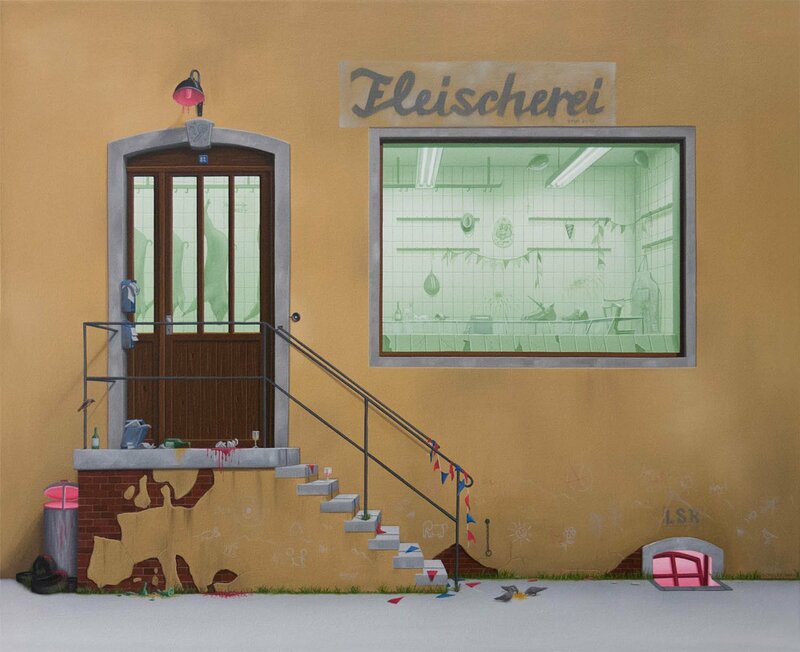 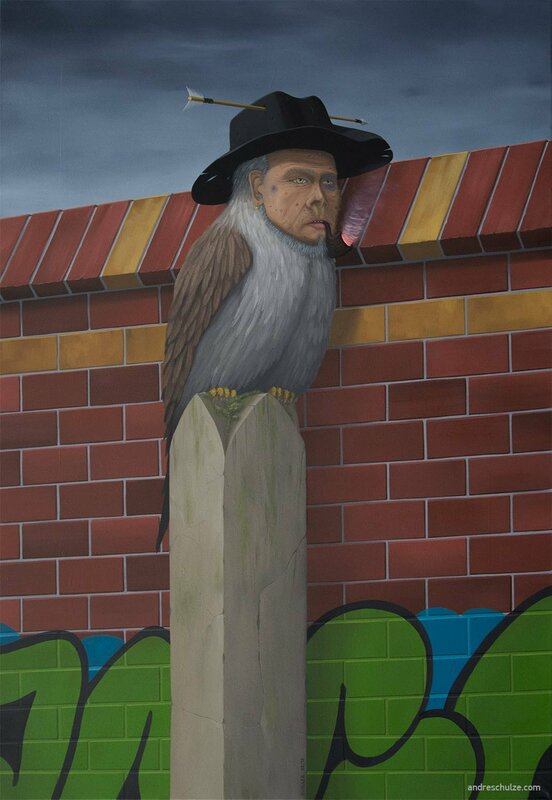 André Schulze is an Eastgerman based artist. 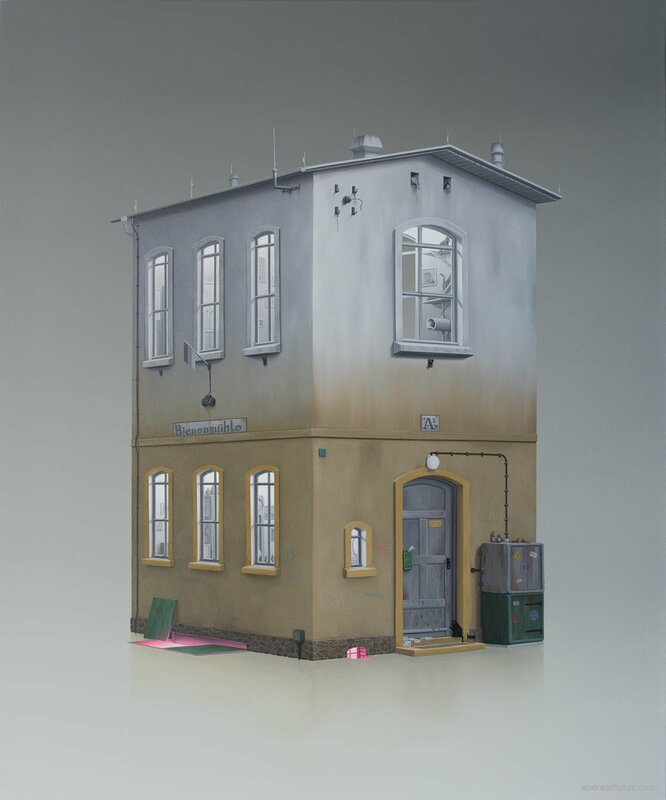 He grew up in the early 80’s in the German Democratic Republik which influenced him to work with the landscape and architecture in his Eastgerman and Easteuropean country. 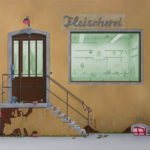 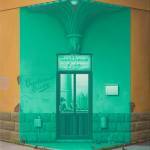 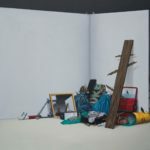 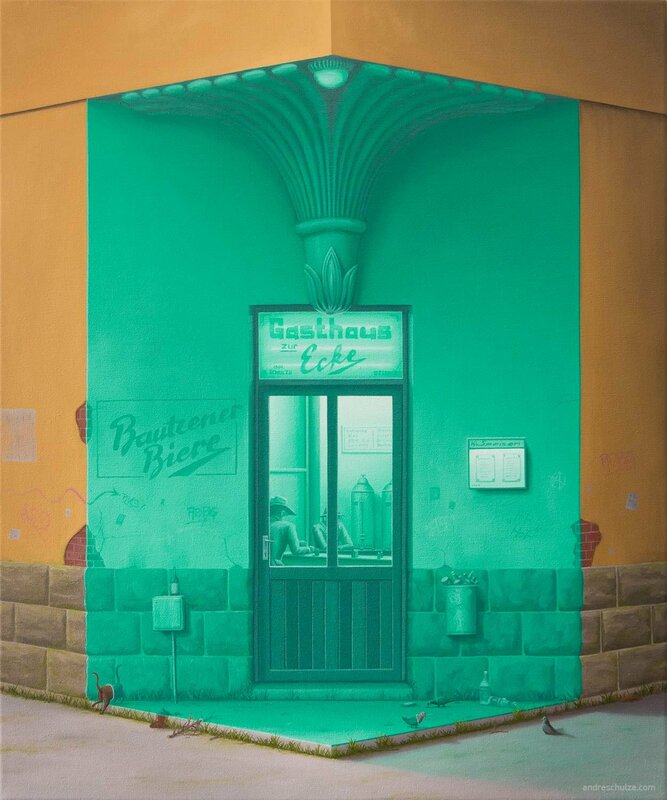 On cycling trips around his hometown Dresden he collects photographs from industrial architecture, rail architecture, nameless buildings and typical houses and landscapes of his region. 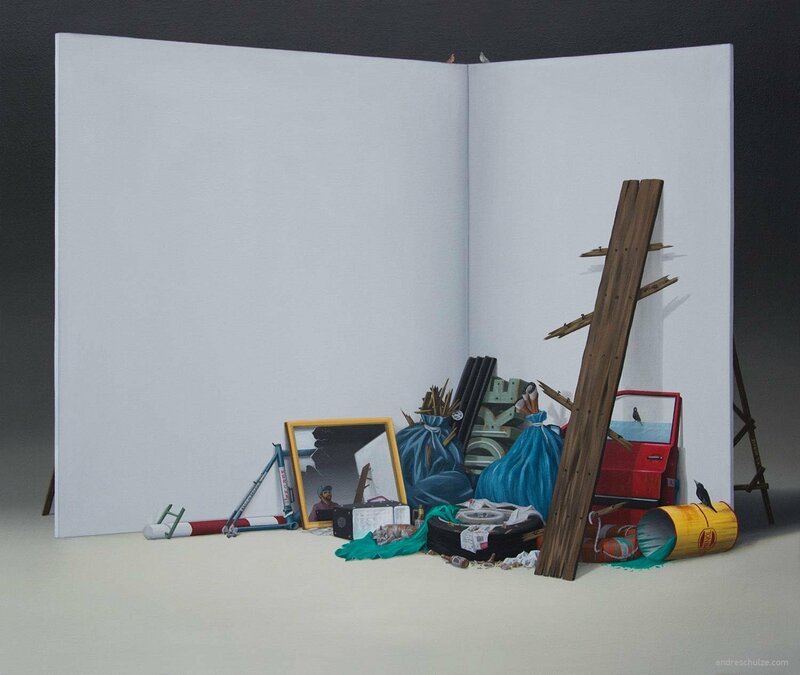 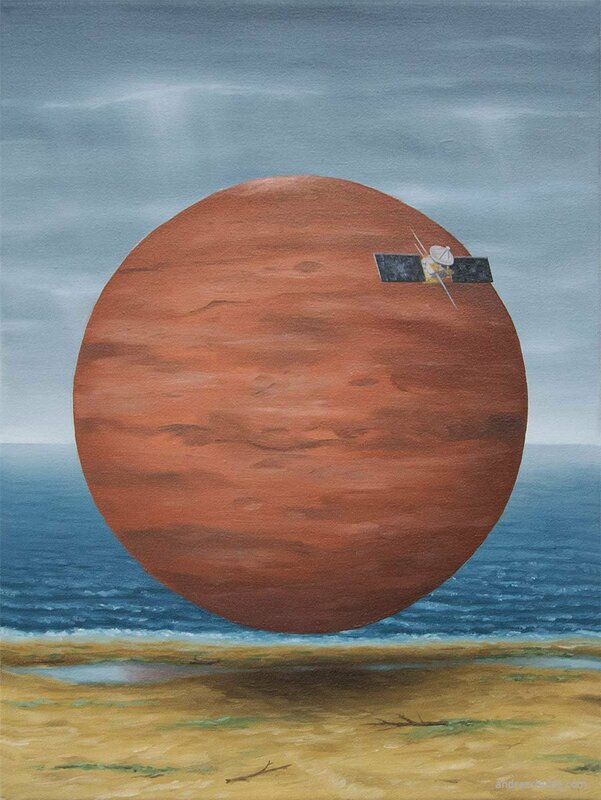 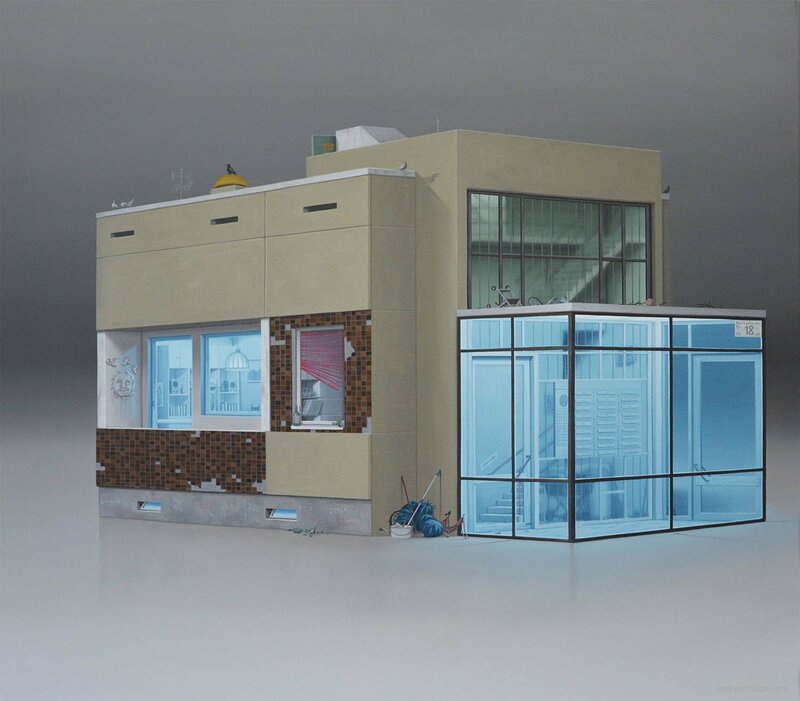 In his Studio he takes all the different influences into paintings with the focus on concentrating on the essential. 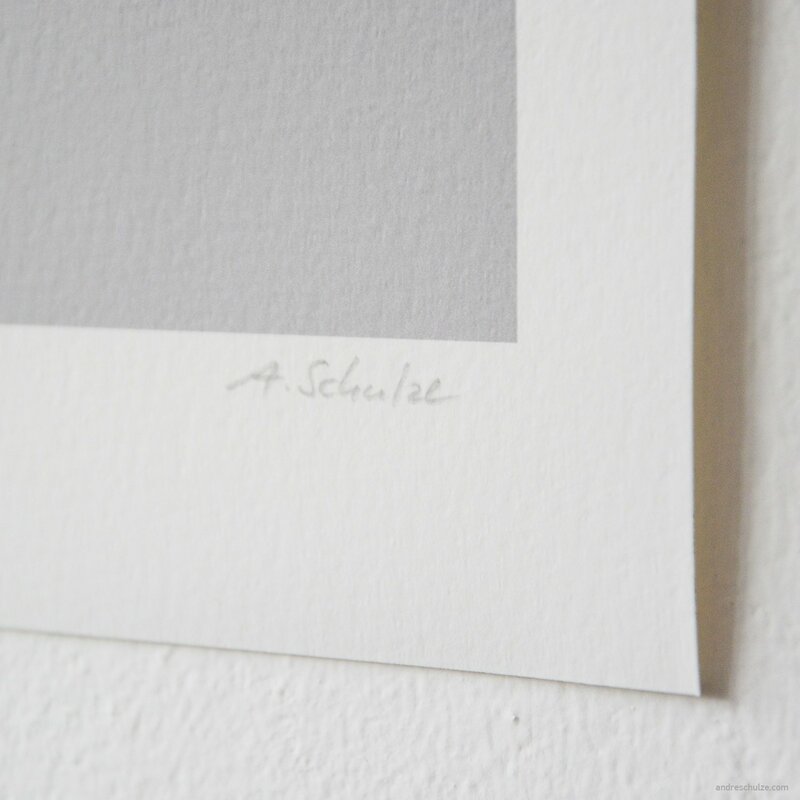 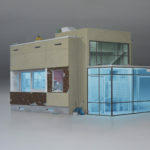 André Schulze’s intention is to show Eastgerman architecture which is slowly disappearing from the landscape. 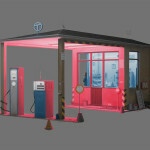 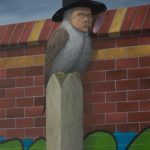 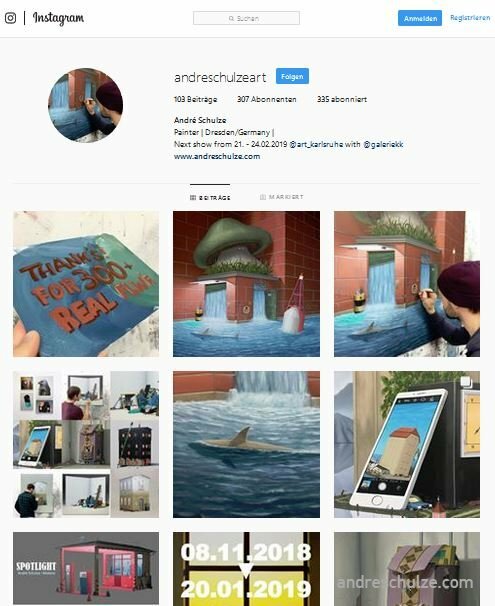 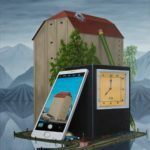 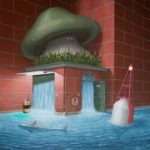 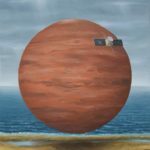 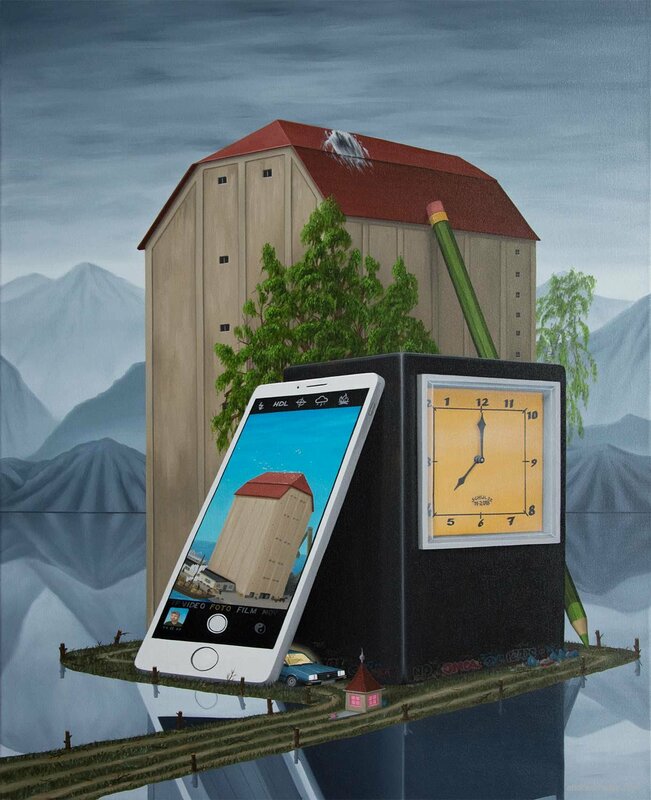 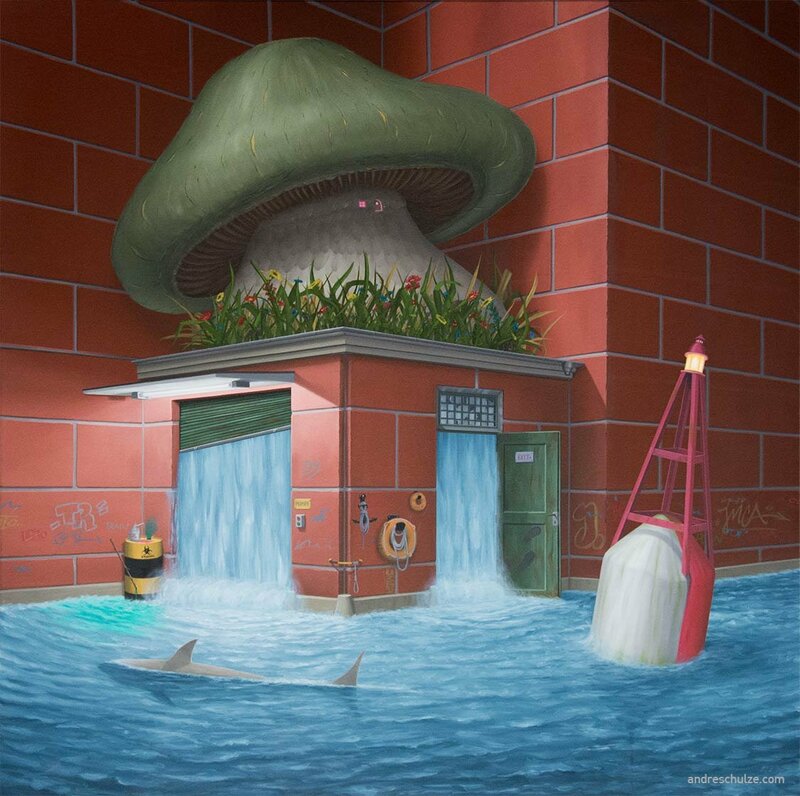 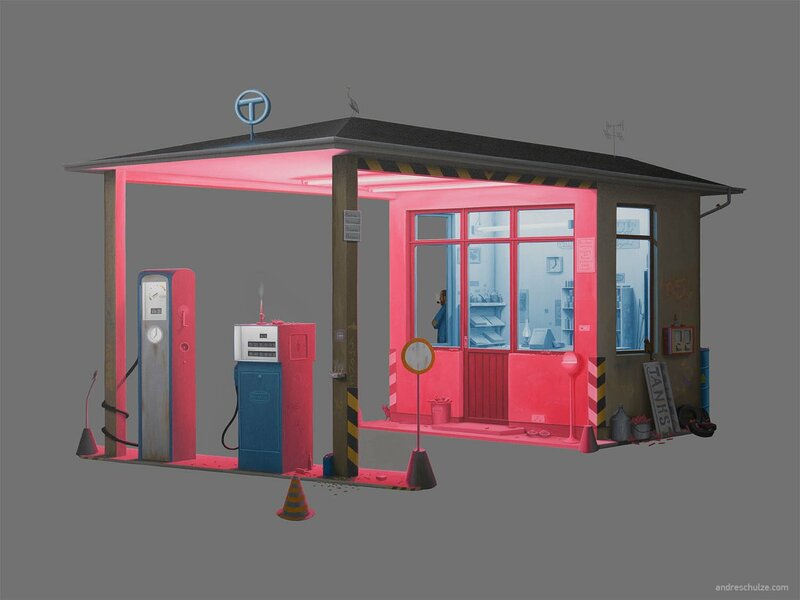 He likes the beauty of ordinary and industrial architecture to transform them into realistic oil paintings with surreal scenes from architecture, landscapes and animals, always with a touch of irony.